What happens when you put 30 young people in a western Sydney house for a week and challenge them to live as a family? 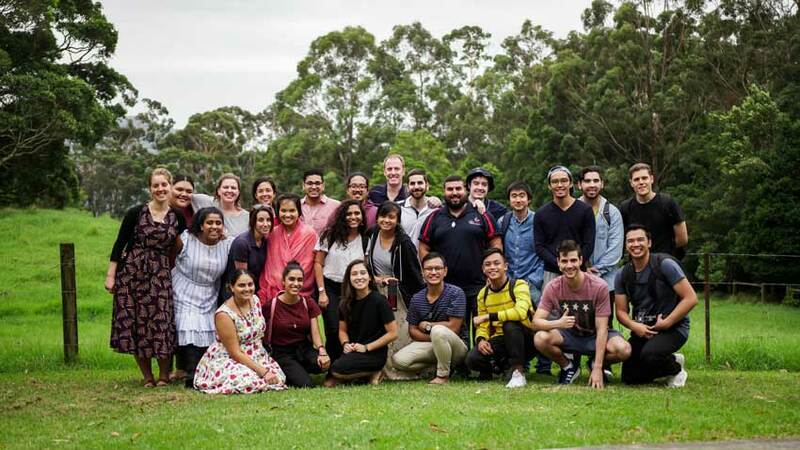 It’s not a pitch for a reality TV show, but what happened when Sydney Catholic Youth ran a youth leaders evangelisation school this month. The youth and young adult participants emerged from the house, in this case the Good Shepherd Seminary, with deep bonds and renewed commitment to their faith, says Douglas Colbran, youth leader at St Elias Speleota Spanish Catholic Church. 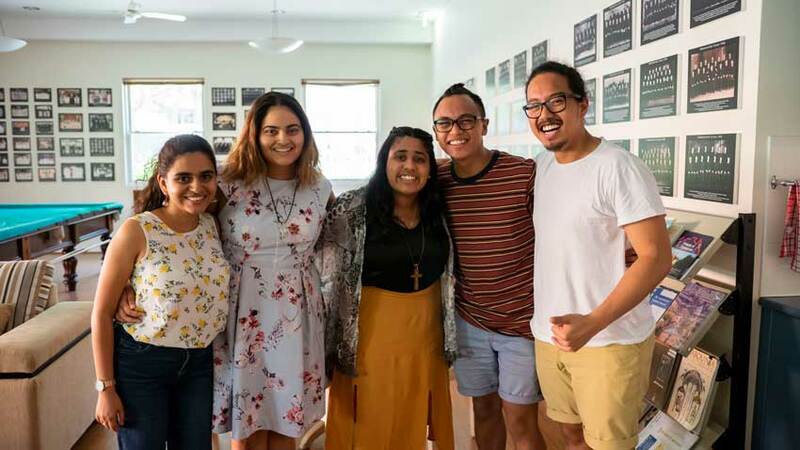 Jemille West, youth coordinator at St Charles Borromeo Ryde/Gladesville parish, said the live-in experience taught her that “nothing matters except to love and to be loved”. “And that can be broken down into so many different ways but if you don’t have a relationship with Jesus nothing can happen,” she said. 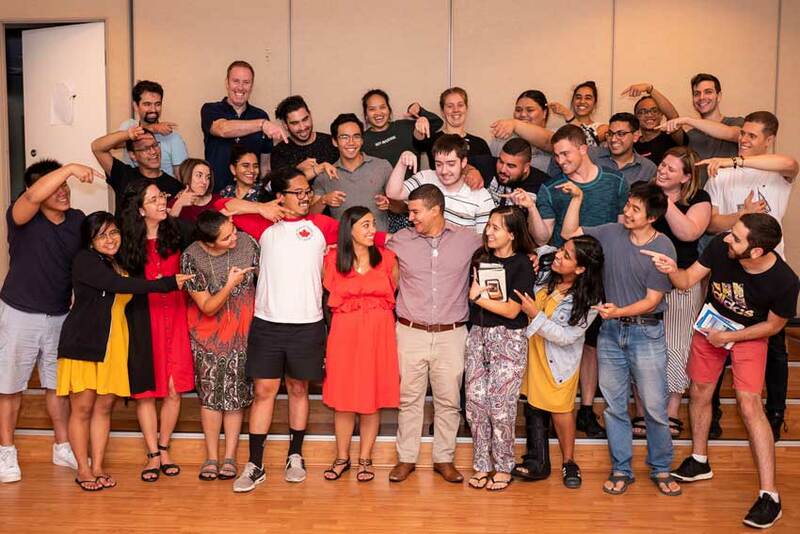 The participants aged 18-36 are all in positions of leadership in parishes or other faith communities, and were led by chaplain Fr Greg Morgan, parish priest of St Charles Borromeo Ryde/Gladesville. Daily housekeeping chores were part of packed schedule including expert talks, workshops, discussions, daily Mass, Adoration and pilgrimages to Mary MacKillop Place and Jamberoo Abbey. The week focussed on building community life and a culture of virtue and love, taking as its theme ‘Into the Deep’. CYS’ Elizabeth Pasion said the young people spontaneously began referring to each other as family. “The experience made people think about their own families and talked about how we could bring what we’ve learnt during the week to love our families better,” she said. Nicholas Singgih, a member of the Capuchin Young Adults said he realised “only by being transformed then we can evangelise to other people”. “In fact, when people witness our transformation that is evangelisation in itself,” he said. 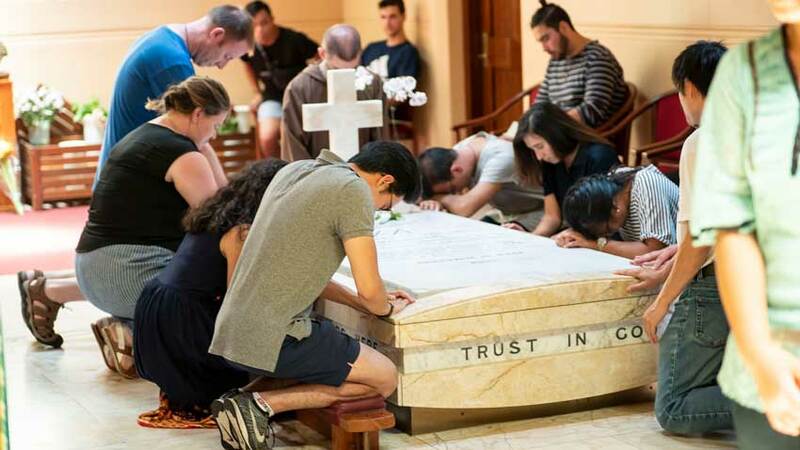 Br Daniel Drum, Verbum Dei consecrated missionary and assistant youth minister St Charles Borromeo Ryde/Gladesville Parish said he began to understand that “evangelisation is about creating a culture”. “It’s not just about doing activities or inviting people to something, but helping people to live the Gospel. To really feel Jesus’ presence with us – through our own being, through our own acting, our own speaking… to really feel that they can be part of that too.